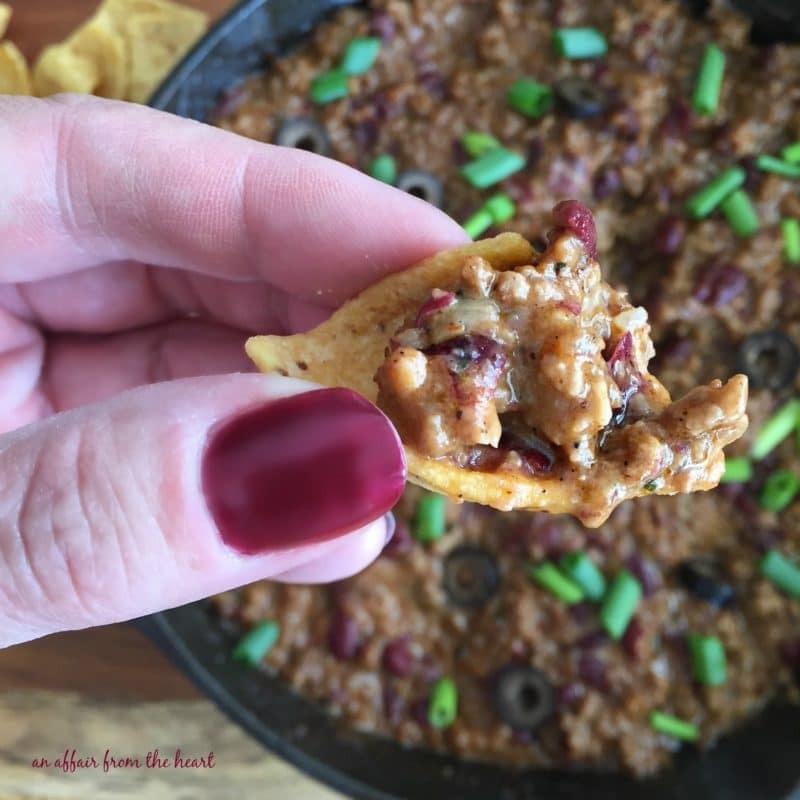 Ground beef, red kidney beans, and cheese heated with spices to become “chili like” — makes the perfect dip for Fritos® Corn Chips! Everyone needs a few good dip recipes in their life, am I right? 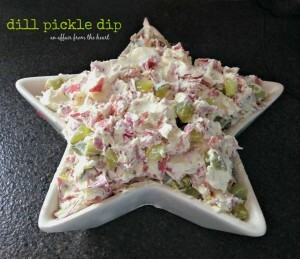 Ironically, with ALL of the recipes I share with you here, many of top posts are dips. When my friend Debi, from Life Currents, asked me to join in her October Tailgating Recipes group, I knew I had to join. 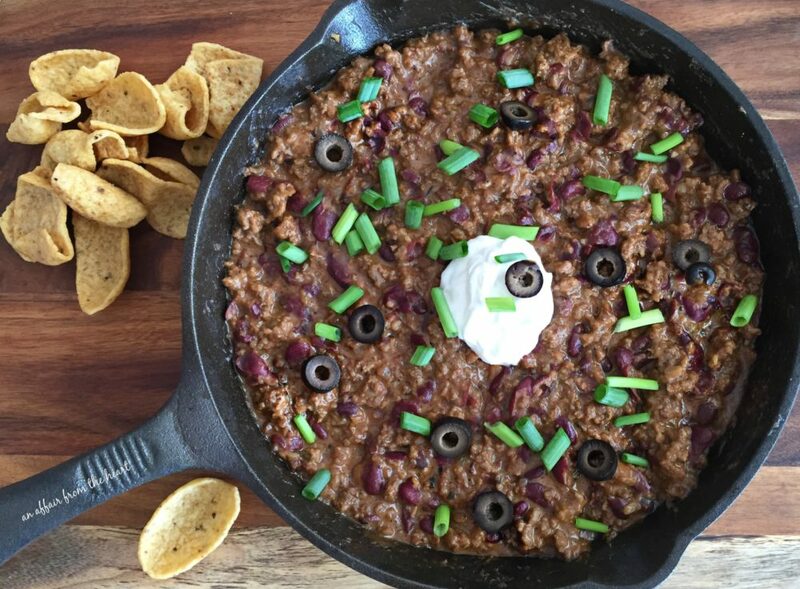 Because, well, FOOTBALL, and it’s a perfect excuse to share a new dip recipe with you! A couple of weeks ago, my hubby stopped at an estate sale a mile or so from our house. I will tell you guys, that kind of thing is not my bag. Something about going through other people’s stuff? I don’t know what it is? Anyway — they had an entire ROOM full of Nebraska Cornhusker Stuff. You name it, they had it. So, of course, he came home with a bunch of miscellaneous things, including this cookbook. I started flipping through this treasure from 1992, and dog-eared a bunch of recipes I want to try. This particular one was called “Touchdown Meat Dip.” I wasn’t a huge fan of the name, because one, this isn’t just for football? It’s perfect for anytime, AND you could make it at home, on a grill or even over a campfire. Two, ‘meat dip’ just wasn’t working for me. So Touchdown Meat Dip — meet Hot Beef & Bean Dip. The original recipe also called for keeping it warm in a fondue pot, which I don’t own, so this could totally be made then kept warm in a crock pot. I liked the idea of using a cast iron skillet though. I made everything in one pan, and we ate right out of it. Ground beef, mashed red kidney beans, cheddar cheese, spices and garnished to your liking. Make sure you grab the Fritos Scoops to get a good sized bite! 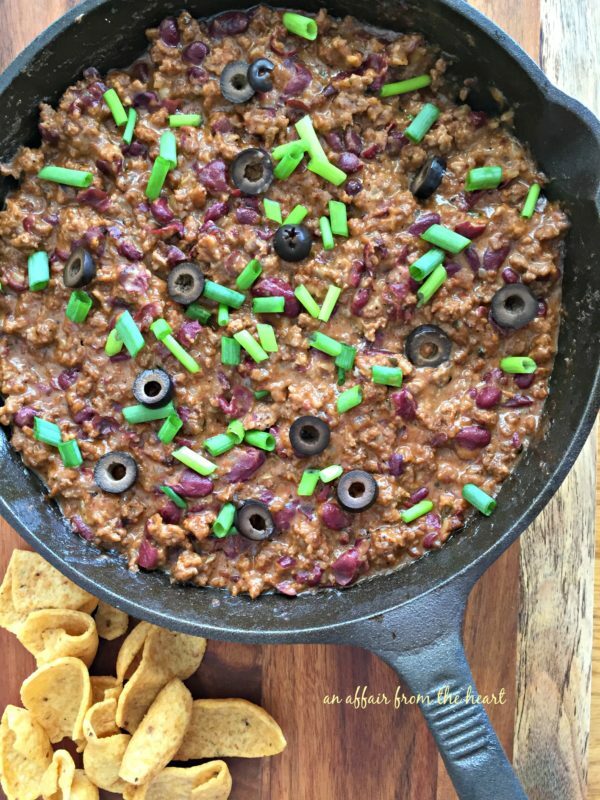 Ground beef, red kidney beans, and cheese heated with spices to become "chili like" -- makes the perfect dip for Fritos® Corn Chips! Garnish: Black Olives, Green Onions, Sour Cream Jalapenos or anything you choose! Brown ground beef and onion in cast iron skillet. Season with Salt & Pepper to taste. Add chili powder, hot chili sauce and beans, stir to combine. Gradually stir in cheese until melted. Sprinkle with oregano and garlic powder. Top with garnishes of choice and serve with Fritos Scoops. You can also prepare this and keep it warm in a crock pot. 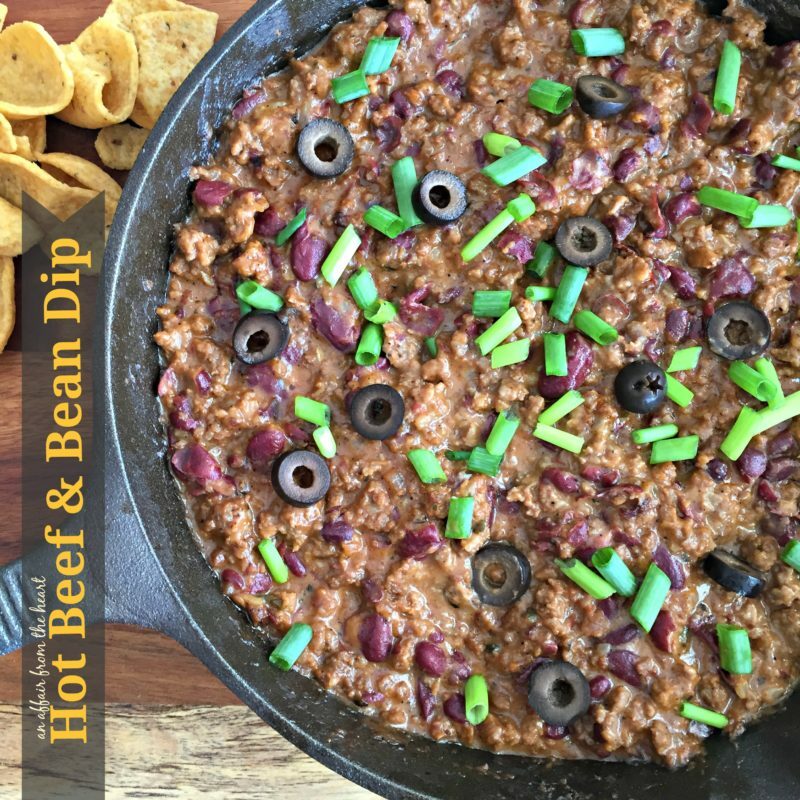 Wondering about those popular dip recipes I mentioned earlier?? Here they are! Check out all the other delicious Tailgating Snacks recipes below from bloggers who took part Tailgating Snacks Month! 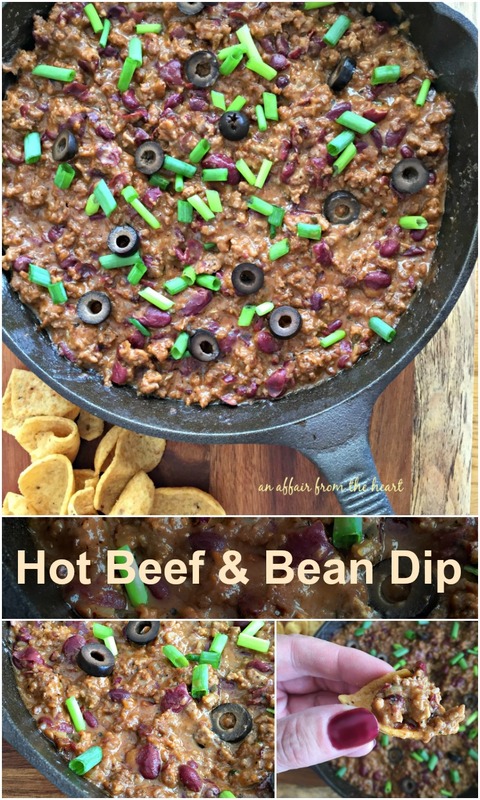 I love dips and could totally make a meal of this! 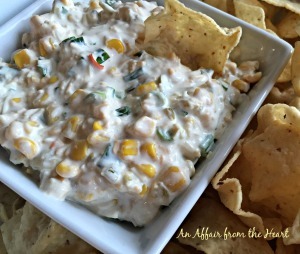 Perfect dip and so delicious! Leftovers would be great rolled up in a tortilla. This is totally a win/win appetizer!! 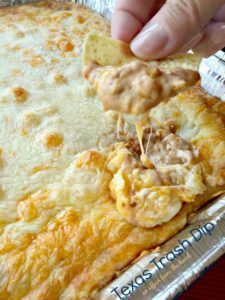 Oh my this dip looks like a perfect tailgating snack and a total WIN! My family will love this one. 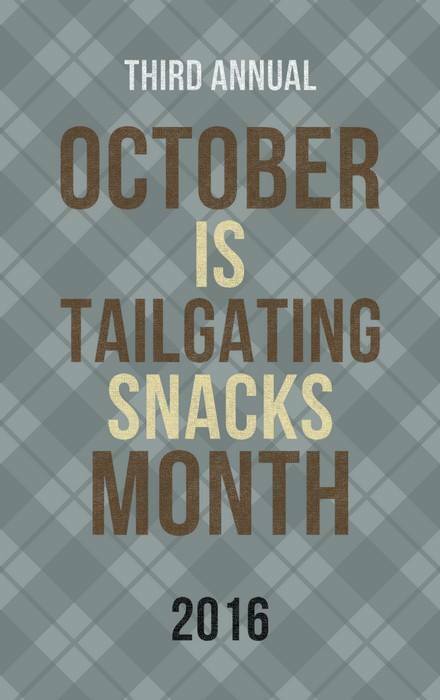 Thanks so much for joining in Tailgating Snacks Month! I love the sound of this dip!! It is sure to be a huge hit in my house!! Love easy recipes like this one! That dip has me drooling! I love dips, and especially the hot thick ones that I can call a snack but eat enough for a meal. 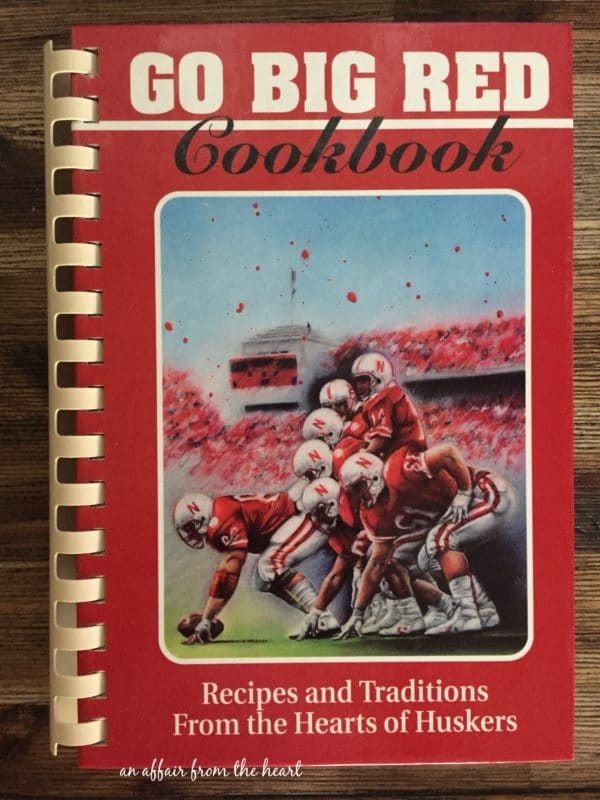 I loved that cookbook too. It looks old school. Some of them are the best! 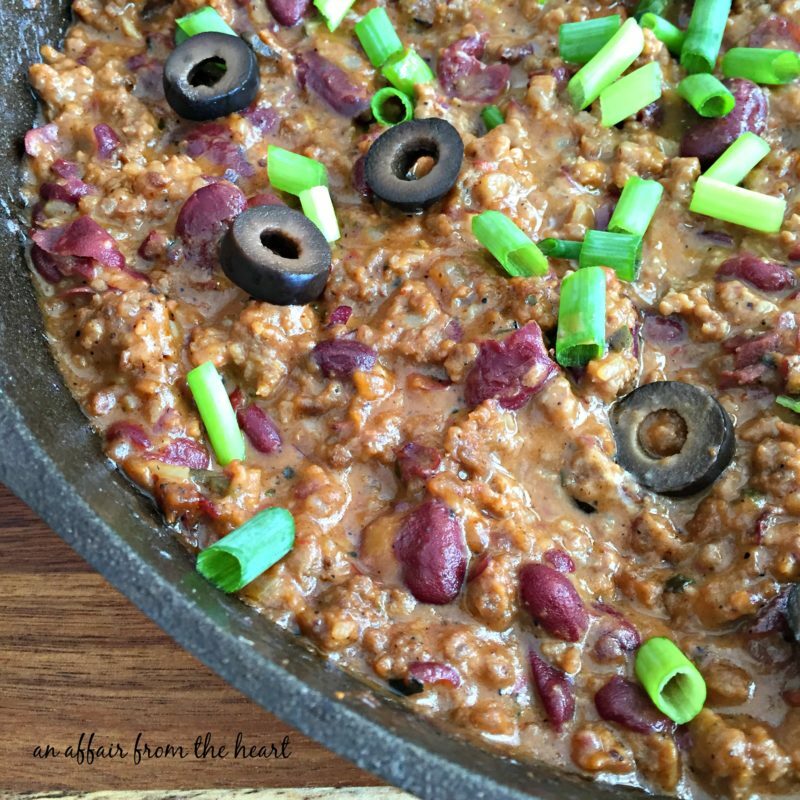 This looks amazing and I love to make my dips in the cast iron skillets too! It keeps them warm for along time! !